Apple today announced an enhancement to the security of its users using iOS 12. The feature is able to automatically share the location data of the person who needs to call the emergency room with the rescuers. The function will be released later this year, with the primary goal of providing fast and accurate information that will help reduce response time. The apple company is renowned for presenting products with very useful features for moments of danger, and now it shows that it wants to get even better. This feature is triggered as soon as a user calls 911 in the United States, which is like the 190 from here in Brazil. 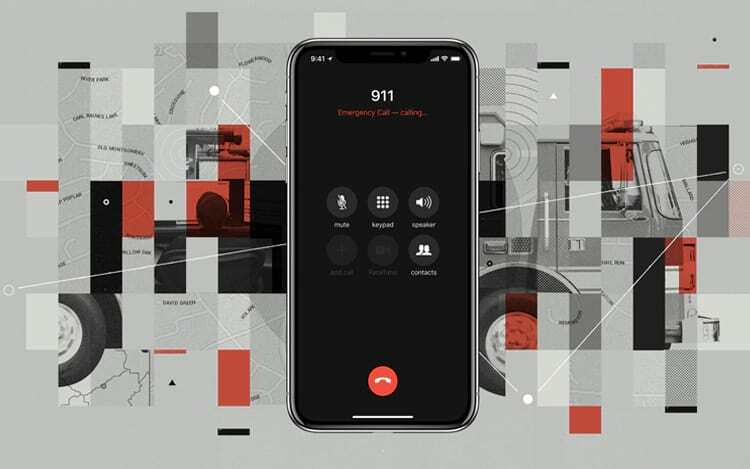 The feature is called RapidSOS, and is based on Apple’s Hybridized Emergency Location (HELO) system, which was launched in 2015, and will now be integrated with the software that was installed in the system of several US emergency centers. It was created to deal with the outdated structure of incoming calls from mobile devices and the fixed line, which made it difficult to obtain quick information from the victims. As the company estimates the privacy of its customers, in this case it will be no different. This is because user data will only be used for the emergency purpose of 911 call centers, which will be the only ones to gain access to the victim’s location. This service is able to exceed the Federal Communications Commission’s requirement that operators locate victims within 50 meters in at least 80 percent of the time by the year 2021. And this feature allows Apple to release those benefits to the emergency centers this year already. The appeal will be initiated only in the US for the time being.